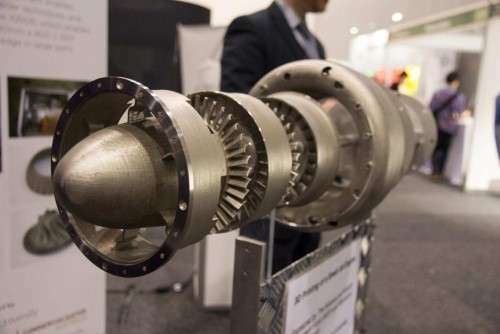 Monash University researchers along with collaborators from CSIRO and Deakin University have printed a jet engine. In fact Monash and their spin-out company Amaero, have printed two engines. One is on display this week at the International Air Show in Avalon, while the second is displayed in Toulouse at the French aerospace company Microturbo (Safran). The engines are a proof of concept that's led to tier one aerospace companies lining up to develop new components at the Monash Centre for Additive Manufacturing in Melbourne, Australia. And the project has created advanced manufacturing opportunities for Australian businesses large and small. Microturbo (Safran) provided an older – though still in service – gas turbine engine. It's an auxiliary power unit used in aircraft such as the Falcon 20 and was chosen because Microturbo (Safran) was willing for the internal workings to be displayed. 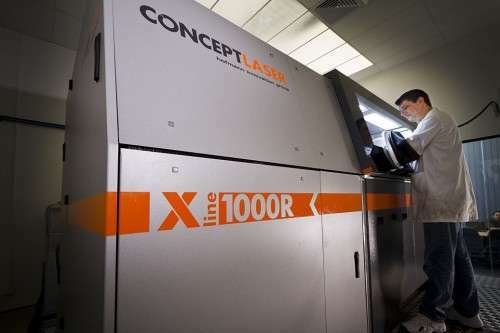 "It was our chance to prove what we could do," says Professor Xinhua Wu, the director of the Monash Centre for Additive Manufacturing. "But when we reviewed the plans we realised that the engine had evolved over years of manufacture. So we took the engine to pieces and scanned the components. Then we printed two copies." It was a complex project that took a year and funding from Monash University, the Science and Industry Endowment Fund (SIEF), and others. 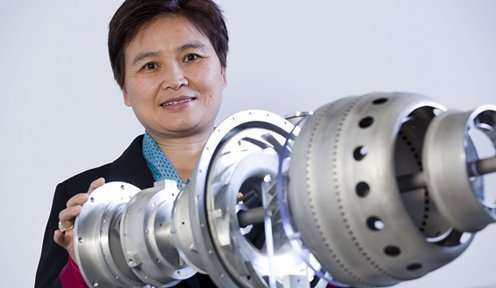 "Xinhua and her Monash team have demonstrated their mastery of additive manufacturing in metal. The partnership with Microturbo (Safran) is a success story that was recognised last year when Safran gave the team its Prize 'Innovation for Product and Technology' for the excellent work carried out in partnership with Microturbo and the University of Birmingham. Monash and AMAERO are already key partners for our new developments and we are keen to have their help in developing new technologies for our future engines," says Jean-François Rideau, head of R&T from Microturbo (Safran). "The project is a spectacular proof of concept that's leading to significant contracts with aerospace companies. It was a challenge for the team and pushed the technology to new heights of success – no one has printed an entire engine commercially yet, "says Ben Batagol, of Amaero Engineering, the company created by Monash University to make the technology available to Australian industry. "Australia's manufacturing industries need access to the latest technologies to stay competitive," says Professor Ian Smith, Monash University's Vice Provost for Research and Research Infrastructure. "This Centre allows them to rapidly prototype metal devices across a wide range of industries. It's part of a large integrated suite of facilities for research and industry at Monash," he says. -They estimate it takes two more years before they have the process quality down to a point where they can actually fire it up. They need to improve on the surface finish and size tolerances to get it working and start testing. So the "news" is that they've essentially made a metal mockup of a jet engine by 3D printing, which demonstrates exactly what? That they can print many parts and put them together?